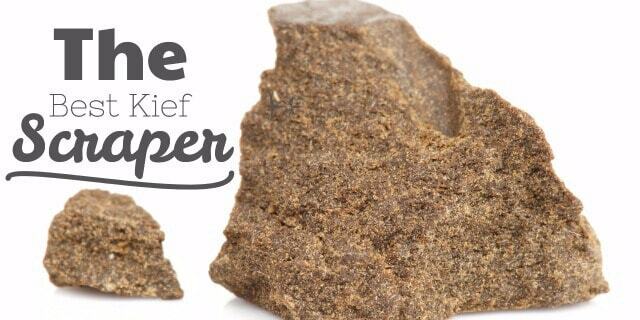 Kief scrapers were introduced to the market to make life easier especially when handling your kief. Anyone using a grinder will want a kief scraper that can collect every tiny particle of kief. Today, I'll show you how to use a scraper to save more of your kief, a couple of tricks and the best kief scraper you can buy. Why do you Need the Best Pollen Scraper? Kief scrapers are used to help collect the kief from the bottom of your grinder. Some of us occasionally use a credit card or a knife, but their effectiveness is nowhere near as good as a scraper. Considering that there are various types of kief scrapers, you'll need to find the best item if you want to collect every tiny piece of kief from your grinder or kief box. The best kief scrapers come in different pieces that are made of either plastic or metal. You can use many alternatives to a kief scraper at home after you've lost the one that came with your grinder. Most people don't want to go through the trouble of searching for a new kief scraper. So, they opt for kief scraper alternative like a knife, credit card or business card. Here's a video that shows you the best way to collect all of your kief. Where Can You Keep Your Grinder Scraper so it Doesn't Get Lost? Most grinders these days will come with at least one grinder scraper. However, some kief scrapers are too tiny, and keeping track of them can be difficult. This is why you find some friends complain about loosing their kief scraper just a few days after getting it. For safekeeping, it's advisable that you keep your scraper in the bottom chamber where the kief is. This way, you'll always remember where you keep the scraper, and it'll be readily available when needed. This also helps you keep your kief scraper from being misplaced. But, if you're here looking for a good replacement kief scraper the good thing about buying new ones is they usually come in packs of five. This is one of the best pollen scrapers on the market. Its dual purpose is unique and actually comes in handy. 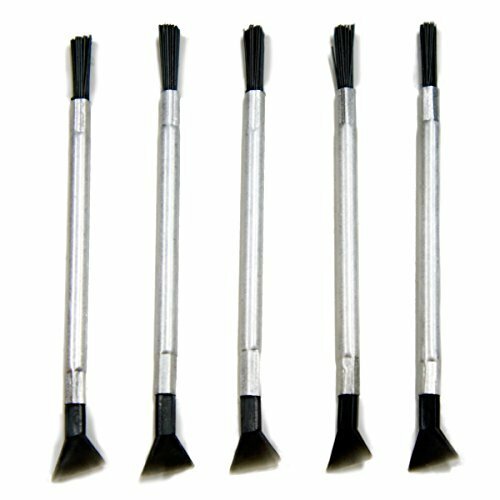 The brush makes your debris collection or cleaning simple and quick. You can use this compact kief scraper to clean your herb grinder with the highest level of efficiency and effectiveness. 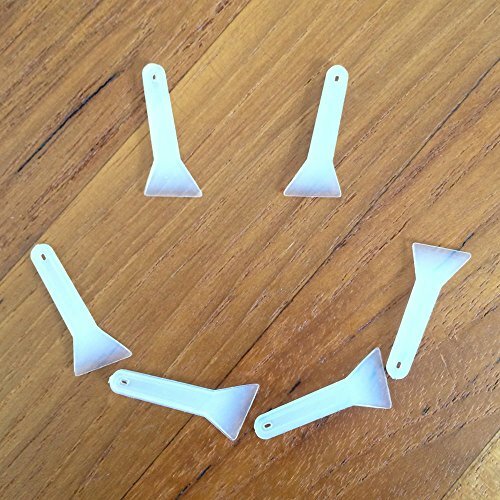 Its usefulness is enhanced by the fact that it comes in five scraper pieces all designed for kief scraping. The head of each scraper is wide enough to collect as much pollen as possible from your grinder or pollen box. Efficient in dealing with herb debris. Busy Bee Distributors have come up with one of the best kief scrappers as it can be used to collect herb pollen from all types of grinders and kief boxes. Its design and make is durable—making it an awesome little herb grinder scraper! This kief scraper will help extend your grinder's lifetime since it collects even the tiniest pollen leaving it sparkling clean after use. Even after several continued uses, these kief scrapers still maintain their excellent condition. Zip Grinders have come up with the best design of 6 kief scrapers that can be used to effectively collect herb pollen from all types of grinders or pollen boxes. 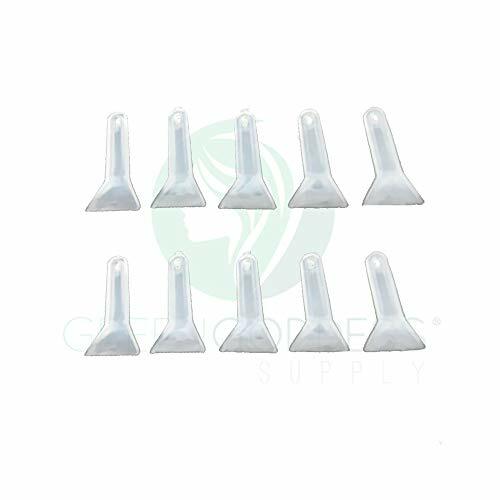 Like the Busy Bee Distributors, the manufacturers of these grinder scrapers are constructed with a high level of durability. 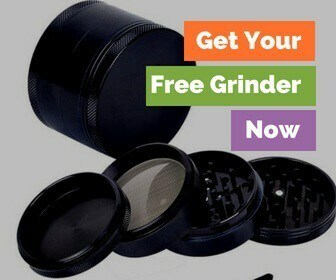 They also help enhance the lifetime of your grinder since they will scrap off the tiniest possible pollen grains. The blade edges are durable and sharp enough to help collect all pollen from your grinder. This pollen scraper doesn't waste a single piece of kief. It's highly effective in cleaning your grinder as it gets all the pollen hence enhancing the durability of your grinder. Kief scrapers come in multiple different sizes. So, make sure you get one that feels good in your hand, and, if you plan on using it often, one small enough to store it in the kief chamber of your grinder. If you're using a kief box, then a longer kief scraper might work best for you, though. Which one do you think is the best kief scraper?